At the 2012 Independent Games Festival at the Game Developers Conference, buzz among upcoming indie games reaches a fever pitch. Famously captured in the indie documentary hit Indie Game the Movie, gamers and indie developers flood into the conference center excited to play and demo the newest and freshest in indie games. While gamers come for a chance to play early builds of their their favorite upcoming titles, indie developers, small indiependent funded game developers, have much more at stake. In addition, to competing for top cash prizes in the main IGF competition, many more developers are demoing their new titles for the first time to real live gamers, who are eager to be wowed and even quicker to be dissapointed. Even more important that industry awards, buzz and player feedback can make or break a new team, proving wether or not their game lives up to all the forum and blog hype. The largest annual gathering of the indie video game industry, the IGF has quickly overtaken the center stage at the GDC. Small but mighty, indie developers have garnered the reputation as the true innovators in the video game industry, and possibly the saviors of the industry as a whole. With stagnant game sales of big console titles, and a drawn out transition to next gen gaming consoles (Wii U is here, the PS4 and next Xbox are due later this year) gaming fans and the major publishers such as Nintendo, Microsoft and Sony have been looking to indie developers to push the game design envelope and to help reinvigorate a blaise market. 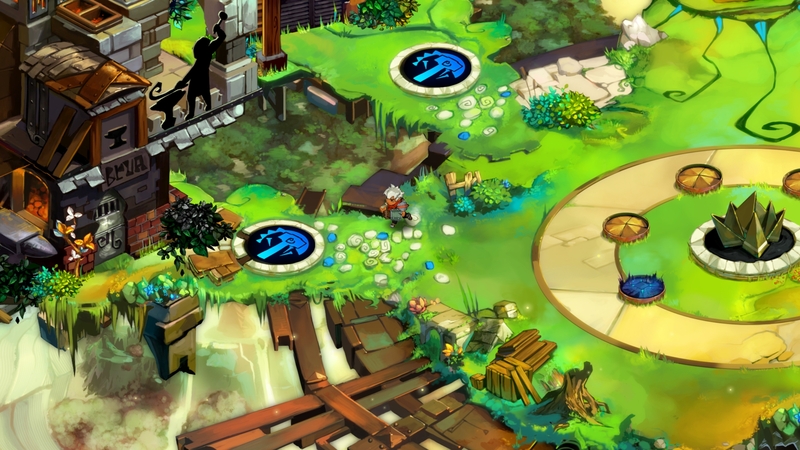 Advenure game darling Bastion, was created by small team of former EA employees. If everyone seems a little indie crazy as of late, it’s easy to understand why. Popular video games have become redundant. Some of the best-selling franchises have turned into macho-man simulators with a greater focus on cinematic set pieces over originality. Particularly notorious publishers concerned with stabilizing profits, have picked up innovative franchises, such as Guitar Hero, Call of Duty, and Tony Hawk games, and run them into the ground with annual released featuring little change. The stagnation of popular brands quickly gets stifling and not just for the players, but for the game creators themselves. Having grown up in the 8-bit era, today’s designers are very aware that insane graphics and cinematic cut-scenes are not required to make games that are addicting, emotionally engaging, surprising and fun. They are even more aware that they do not need a big game publisher breathing down their neck or diluting their creative vision to get their game into the hands of appreciative gamers either. Indie games are a breath of fresh air. The literal definition of an Indie, or independent, game is one made without the support of a publisher. This alone is a double-edged sword; without financial support, some games go under before they get a chance. On the other hand, publishers often impose their own influence on the games in order to turn a safer profit. By going without a publisher, Indie developers are free to explore their own creative vision. It is these risks, that the bigger game studios have been reluctant to pursue, that have fostered the growth of the indie game industry. Although gaming fans own consoles capable of playing massive graphic heavy epics, gamers are increasingly downloading simple indie games that evoke complex feelings, alternative story structures, non-traditional gaming mechanics, and feature offbeat characters and surprising gaming elements. But just because they are indie does not mean that they lack support. Several online communities have formed around independent game development, like TIGSource, Ludum Dare, and the indiegames.com. Sword and Sworcery is a big iPhone adventure game with a much loved indie soundtrack. There’s something more to what makes a game Indie that’s harder to express. Whether it’s Fez, a throwback platformer that manipulates 3D perspective, Super Meat Boy, a brutal, cartoony platformer in which you play as, unsurprisingly, a boy made of meat, the hipster-friendly pixelated adventure epic Sword and Sworcery or Hotline Miami, which explores mindless violence in modern gaming in the neon haze of 1989’s Miami. These brilliant eccentricities are only possible because of the people who made these games, and more specifically, why. The motivation to create indie games greatly varies between individuals. Creating games from scratch with a small team, is a long arduous, potentially thankless task, but underneath all the struggle is chance to make a fresh original game experience unbound by market expectations and creative restraints. Indie developers aren’t looking to create a mass appeal – in fact, many Indie games are only targeted at niche audiences. 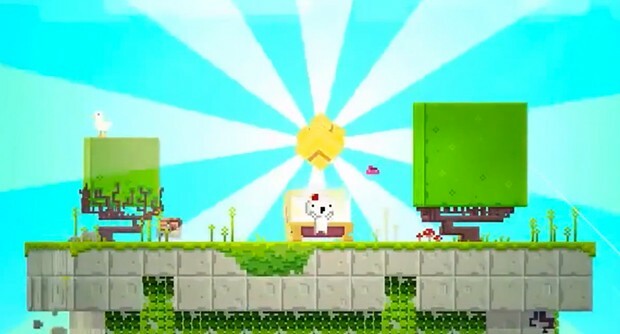 Indie developers make these games out of passion and often explore gaming as an artistic medium. 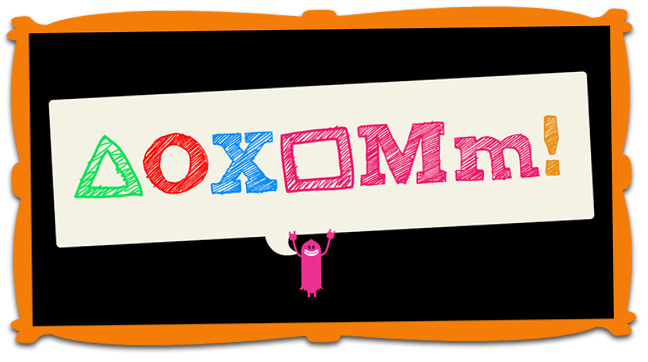 BAFTA-winning Thomas Was Alone is a platformer-puzzler revolving around charming, rectangular programs that have suddenly become sentient. It’s a short trip that follows a wide cast of characters, from the blue and buoyant Claire, who aspires to be a superhero, to the tall and narrow John, who looks to show off his exceptional jumping skills. The fact that a two-hour-long romp leads the player to grow attached to a few blocks is a feat within itself. It’s not something that’s meant to appeal to a mass audience; it’s meant to be fun, evocative, and original. The major downside to going indie – the lack of financial support – is also being mitigated. 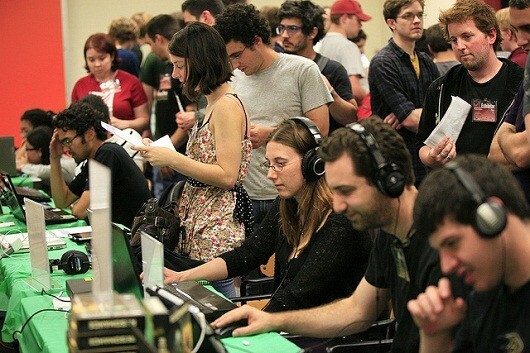 Websites like Kickstarter and Indiegogo allow fans to raise funds for games. Many game developers are skipping publishers entirely, confident in their fans. They raise hundreds of thousands of dollars with ambitious crowdsourcing campaigns and then sell their finished works online through digital distribution, either on their own website or through distribution platforms like Steam and Desura or Humble Bundle. And with the advent of smartphones such as the iPhone and Adroid, developers have been able to expand their platform offerings and benefit from the flexible licensing and revenue streams of the App store and Google Play. In fact, digital distribution has given the biggest push to indie game development, as the hurdles of publisher support- console certification, packaging costs, and store distribution, have fallen by the wayside. With the rise of digital storefronts and app stores, it has become possible much easier for indie developers to sell games to a worldwide market with little or no initial investment, and keep a larger part of the profits. This in turns allows them to fund their next projects and creative endeavors. Of course when the lucky few reach a the golden level of success, the big publishers take notice. While a David and Goliath like tension has often plagued the relationship between developers and publishers, both sides are finding that they can happily work together. Nintendo, Sony and Micfosoft, have been using the Game Developer Conference as a way to court budding developers to their online publishing portals. While computer platforms (such as Linux, Mac OS, and Windows) were traditionally financially more accessible to indie developers than video game consoles, the big three have taken a note from Apple’s App Store and been making it easier than ever for indie devs to get their games onto their hardware, streamlining the submission process, expanding their fudning programs and royalty incentives. Even when indie developers make it and find that they can support themselves, blood sweat and tears, lonliness and the stress of gnawing doubt, can make a developer second guess the charms of staying indie. Although quite a few developers remain independent, many are accepting lucrative offers from big publishers. Companies like Media Molicule, famous for their Little Big Planet franchise, often begin as small publisher and get picked up by one the big three, (in their case Sony) in exchange for financial stability, and support in production, publishing, distribution and marketing. Later when the feel their franchise is in good hands, they can release their project into another development team and get back to dreaming up their next big game. No matter which direction indepdent gaming moves in, indie games will always have a special appeal. Recent trends and advancements have made it easy to produce and easy to purchase making it a great time to be both an indie developer and a indie gamer. Even as indie becomes more mainstream, developers and artists can express themselves freely and give their finished works more exposure than ever. Even when the new console cycle kicks in, indie games will continue to thrive, pushing the limits of our imaginations and inventing new ways to play.